This post will be divided into two different sections – this blog is written by two people, Susanna Gebauer and Jonathan Gebauer, and for the recap of this experience we decided to give our personal views of the experience. First, you can read Susanna’s version of the last half year after introducing this blog. 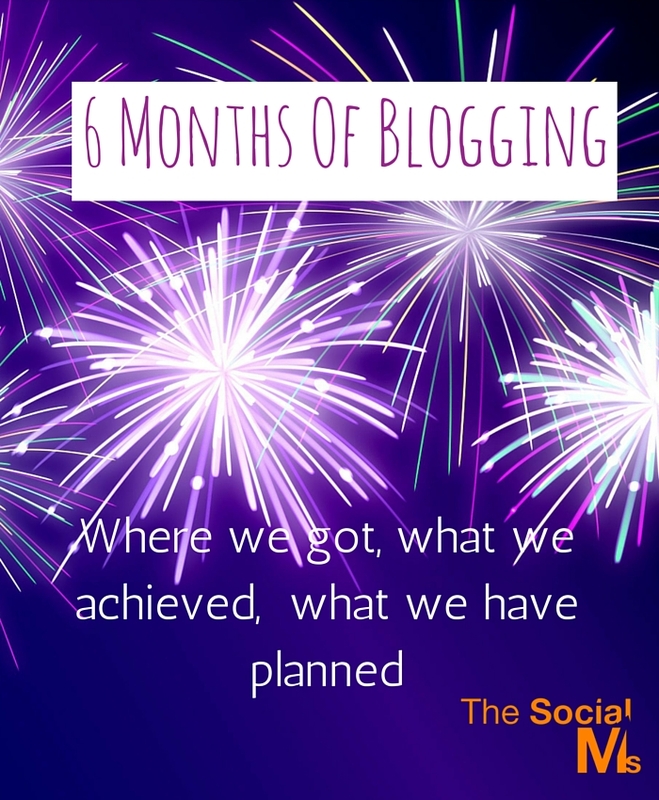 Slightly over 6 months ago we started this blog (blog.thesocialms.com). We believed we needed an outlet for the both of us to talk about our experience with marketing, show who we are, brand ourselves as marketers and connect with our audience. We had no idea how big blogging would get for us and where it would lead us. In September 2014 when we started the blog, we were still running the publishing platform exploreB2B (now offline) as our main venture and planned small with our blog. 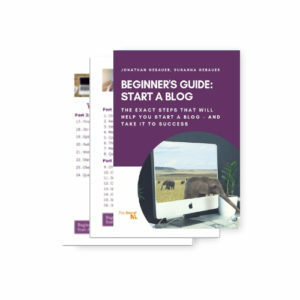 We started with the easiest way to start blogging and set up a blog on Tumblr. Blogging about social media and online marketing in 2014 is not exactly tackling a small and accessible niche. There is probably no other space where there is more content (and good content) constantly being published on the internet. We were totally aware that this move was bold. We had no idea what kind of audience and how many readers we would attract. Less than three months and 40 blog posts later in November 2014 we realized the blog was already growing too big for the initial setup on Tumblr. We needed more flexibility on the technical side and Jonathan moved the blog to WordPress. Our audience kept growing. By the end of 2014, we had published 59 blog posts and already saw over 25.000 monthly visitors to our blog – without a dime spent on advertising. By then we knew we were onto something here. In January something changed for us which had a direct impact on The Social Ms: We gave up our publishing platform exploreB2B. The Social Ms grew into our main business. Aside from writing about social media and online marketing on our blog, we now also work on consulting, teaching and online marketing projects. As we now concentrate more on passing on our knowledge to our readers and customers, we are working with different formats to present the information and give everybody the help they need. We added a main page about The Social Ms and the work we do to our blog – not perfect yet, we are still in the developing stage of our new life as The Social Ms.
Today, just over 6 months after starting this blog on social media and online marketing, we have published 100 posts (including 6 episodes of the traffic generation podcast). We have had over 200 comments on our blog, including some from “big names”: Among others, Copyblogger, Mark Schaefer and Jay Baer took the time to add value to our posts. In March 2015, we are already seeing more than 10.000 weekly visitors on our blog. And not only the numbers for the blog itself are growing. Our audience in social media is also growing (TheSocialMs on Twitter). In January 2015, we started our Facebook page. Jonathan started a Podcast on traffic generation. Something that started out as a test, turned into something fun and this audience is also growing. We are working on online courses around social media and traffic generation, which we will launch within the next couple of weeks. We had our doubts if it is still possible to build a successful blog in a crowded space in 2014/2015. Today we can say from our experience: It is. But you need to get your social media right. We had our doubts if it is still possible to build a successful blog in a crowded space in 2014/2015. It is. Even today around 80% of our traffic is social! Social traffic is traffic you can build and grow into a reliable traffic source. Whereas search traffic is not only fickle, it is also unreliable, due to Google’s unpredictability. Even if you succeed today to grow search traffic, Google can penalize you tomorrow. 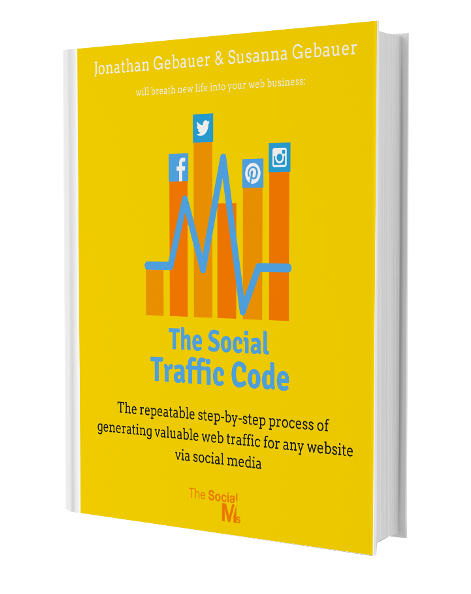 Social media traffic is reliable and persistent if you grow your accounts. Social traffic is traffic you can build and grow into a reliable traffic source. For us going for search traffic would mean to compete against all the big names in social media, content marketing and SEO, who have been around for years. We take the search traffic we get as an added value – and concentrate on our social channels. We have learned so much with this adventure of starting a blog in 2014. We hope you will stay with us for the next steps of our journey. 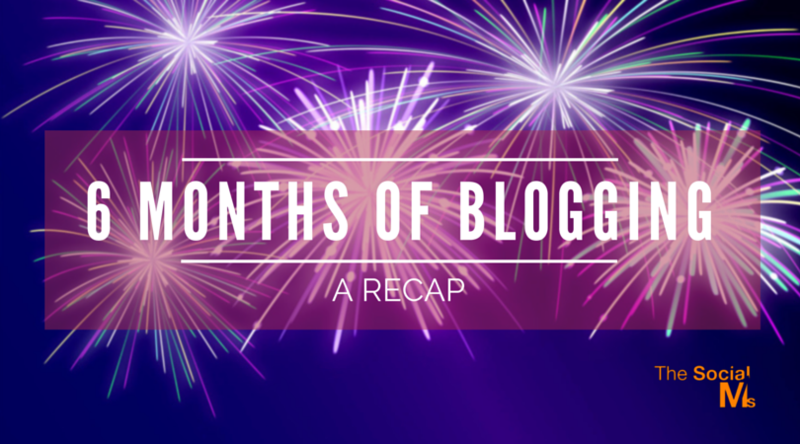 We have learned so much with this adventure of starting a blog in 2014. Do you want to grow your blog traffic like we did? We give you the process that helped us grow this blog’s traffic to 50k monthly visitors in just over half a year. We teach you the foolproof traffic system in step-by-step action plans. This is just a start – and even 6 months in I still have no idea where this is going to end. Susanna already talked about some numbers, but other numbers are more relevant. I want to see the audience – the returning people, and that we provide value for them. 6 months ago I had my doubts about whether we could pull this off. After all, it was 2014. Blogging is far from being new and hip, and we are in the most crowded space on the web. We’re up against them all – every single online marketer on the planet is publishing content. And we compete against every single one of them. And I had my doubts that we could compete in quality and quantity while trying to make a living. On the fun side of things – this blog lets me compete against some of the people I adore most in life – Jay Baer, Jon Loomer, Mark Schaefer, … Can there be a better thing in life? On the not so fun side of things – I compete about all those content and online marketers that I adore so much… can there be something scarier in life than competing directly against the brightest minds in your business? Half a year ago, the question – the only relevant question for us – was: Could we create an audience. Not just one-time visitors, but people coming back to this site for our knowledge. Today the answer is: Yes! Half a year ago, the only relevant question for us – was: Could we create an audience. The answer is somewhat surprising for me – the success of this blog was something I have deemed impossible before. Because from a marketing standpoint we did everything wrong: We went to the most crowded niche with the most competent marketers all stacked up against us, and we decided to say “We will prevail!” (cheesy lines come for free when you are writing posts to celebrate your success). 6 months later we have nearly 50,000 unique visitors per month. But what is more, important for me is that Google Analytics shows these to be almost 50% returning visitors – so people are not just visiting, they are coming back. Marketing knowledge is the most needed knowledge in our current times. Anyone today can create a product – whether it is an ebook or something else, but if you cannot market your products you can stop producing products right from the start. And the sad truth is that even most professional entrepreneurs start their businesses without even a blind guess of how they will market their product. Coming from the startup scene and having connections to both European and US-based startups I can tell you that it is the marketing side of things that breaks most startups (and not the development side of things like so many people believe). So while the marketing niche might be a crowded niche – it is also a niche where every little piece of knowledge is worth money – and we want to give this to you. That is what we are creating with TheSocialMs, and that is our business. This blog has started our business, and this blog is what showed us the way. We are here to become your guide for part of the way – and that is going to be our business! Do you want to start your own blogging success story?